DIS/rupt opens today at the Museum in the Park and tomorrow at Lansdown Hall Gallery, Stroud. 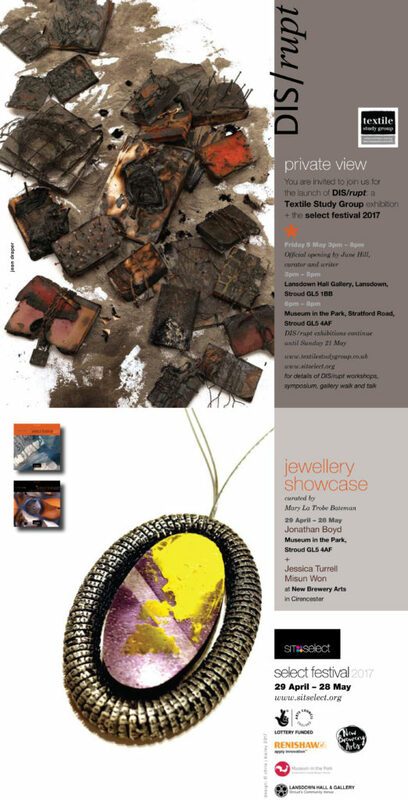 This exhibition and associated events is by the Textile Study Group and is launching as part of SIT select. There are twenty members showing work across the two venues and some of us are teaching workshops linked to the project. You can read more about DIS/rupt here, book onto workshops, the DIS/rupt symposium and see all the other events happening here and you can read a bit more about the work I have made for this exhibition here. The Private View for the exhibitions are this Friday – do come along if you can. 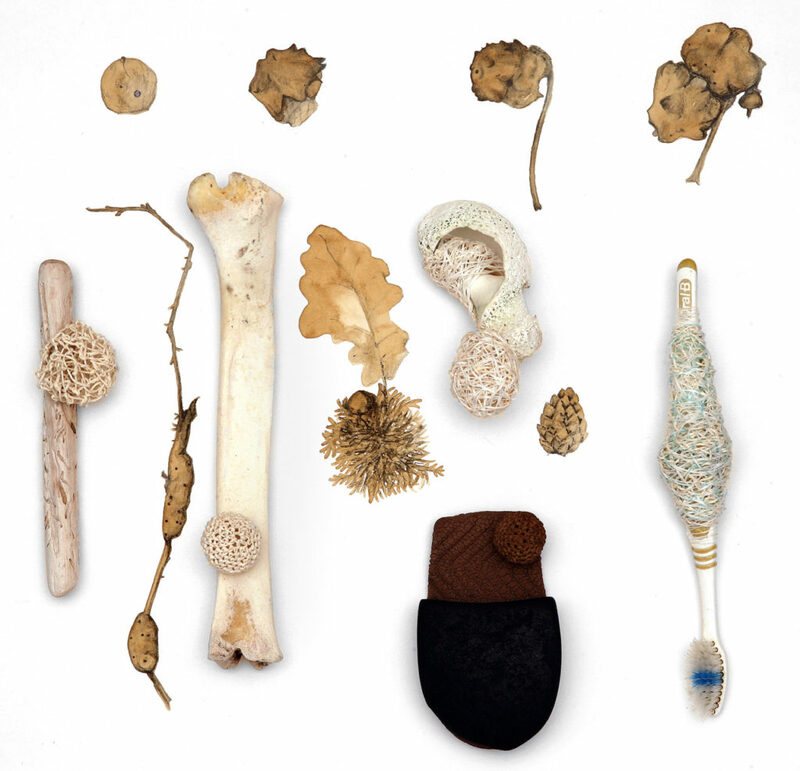 This entry was posted in artist talks, beach rubbish, collections, exhibitions, found objects, galleries, galling, SIT, teaching, Textile Study Group by Alice. Bookmark the permalink. I am really looking forward to this exhibition and am spending an afternoon with Bobby Britnall using bark cloth which I enjoy working on. Your new work looks very interesting.